Goodwings is a hotel booking portal that wants to achieve the 17 Sustainable Development Goals through collaboration with NGOs like us. 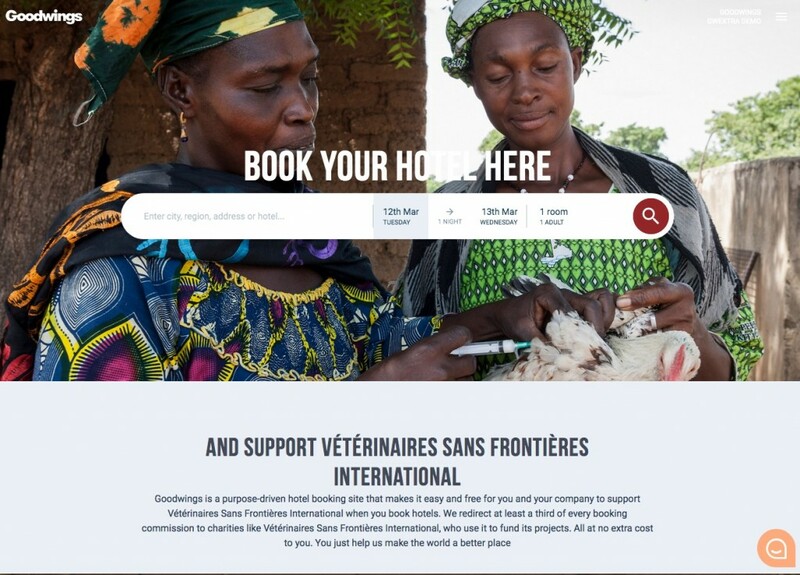 With this collaboration, companies and solo travelers can donate money to VSF International when they book hotels through Goodwings without it costing extra money. For every booking, Goodwings sends half of their commission to us. You are a company and you want to support VSF International with tons of money – but at no cost to you? By using Goodwings as your hotel booking site for your future business travels you support VSF International with 5% of the price of all your hotel stays – for free. Goodwings has a vision of turning the hotel industry into a driving force for positive change. Goodwings works with VSF International and other NGOs to positively impact people and planet, one hotel stay at a time. Goodwings offers the same over 365,000 hotels as traditional booking sites, and at the exact same prices. But instead of spending money on marketing and advertising, Goodwings gives half of the commission to NGOs like VSF. So, when a traveler books a hotel stay for $100, VSF International receives $5. A true win-win! You are a solo traveler and want to support VSF International? You can also use Goodwings to book you holiday hotels! You first need to sign up to create your profile, and when you have completed a booking, you can select VSF International to award us a donation. …And help us spreading the word!